I got the Bela with the Kickstarter campaign. Although I could have used it as soon as I got it, I didn’t have enough time to really dig into it. Now is the time. First, I had to update the Bela image with the last available one. This one allows you to connect to Internet directly from the Ethernet port, which is required if you need to get source code from the Internet or update the card. So nice change. The root account is the one advised in the wiki, but I would suggest to create a user account, protect the root account so that you can’t log with it (especially if plugged on your private network!) and make your user account a sudoer. Once this is done, let’s tackle Audio Toolkit compilation. For this step, you need to start by getting the latest gcc, cmake, libeigen3-dev and the boost libraries (libboost-all-dev or just system, timer and test). Now we have all the dependencies. Get the develop branch of Audio Toolkit (there will be a future release with the last updates soon that will support ARM code) from github: https://github.com/mbrucher/AudioTK and launch cmake to build the Makefiles. If the C++11 flag is activated by default, it is not the case for the other flags that the ARM board requires. On top of it, we need -march=native -mfpu=neon -funsafe-math-optimizations. 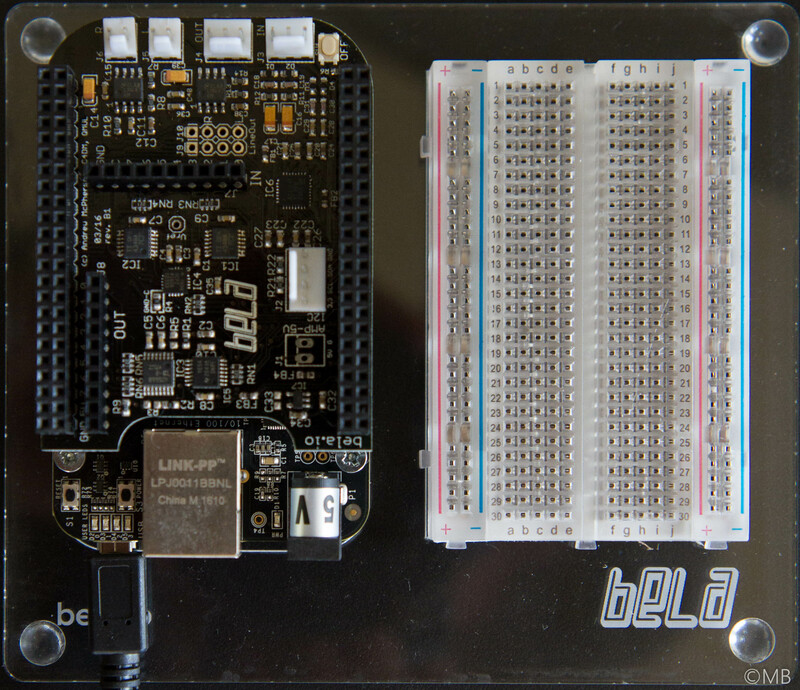 The first option triggers ARM code generation for the Beagleboard platform, the second one allows to use the NEON intrisincs and floating point instructions. The last one is the interesting one: it allows to optimize some math operations, like the denormal processing by flushing them to zero (effectively FE_DFL_DISABLE_SSE_DENORMS_ENV does on OS X or _MM_DENORMALS_ZERO_ON on GCC with x86). The compilation takes time, but it finishes with all the libraries and tests. I have known the basic structure ready. The compilation of Audio Toolkit is slow, but I hope the code itself will be fast enough. Let’s keep this for next post in this series.